We have a new addition to the farm. We think he’s beautiful! Apparently the dogs are smitten too. I love the face on the little fella on the left, ‘what is this? Me likes!’ haha. They’re all very cute! The Little guy on the left is our French Bulldog, Lily. The bigger one is one of Weimaraners, Dixie. 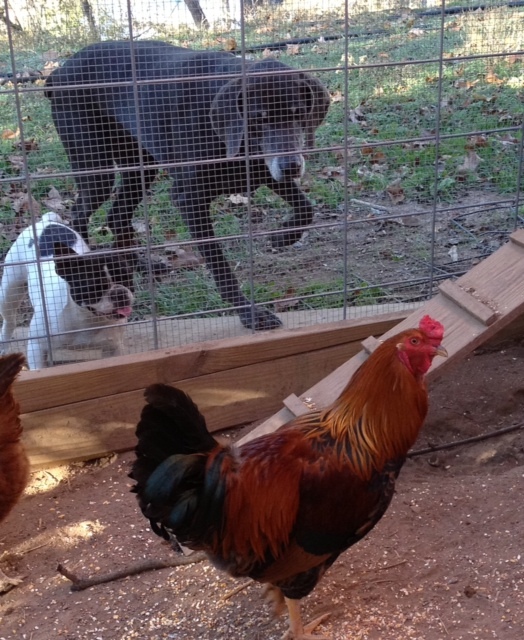 They live for their daily trip to the chicken coop. Once they even got in – that was a nightmare for us and the chickens!